Draft: 2005, Florida Marlins, 22nd rd. Graduated from Northshore High School in Slidell, LA...attend Maple Woods (Mo.) Community College, the same school Albert Pujols attended in 1999...in his only season there, Morrison batted .436 with 9 HR and 45 RBI...he signed after the season with the Marlins as a draft-and-follow prior to the 2006 June Draft. Logan's father, Tom, battled lung cancer during Morrison's rookie season and died on Dec 8, 2010... since his passing, Logan has raised well over $250,000 for cancer research...his father was a chief petty officer in the U.S. Coast Guard and played defensive end at the University of Kansas in the mid-1970s.. lived all over the country, moving with his parents due to his father's employment with the Coast Guard... favorite places to live were Kansas City and Wilmington, N.C...Logan was the Marlins nominee for the Roberto Clemente Award in 2012 and 2013...in 2015, he was nominated for the 51st Annual Hutch Award, recognizing the MLB player who best exemplifies the fighting spirit and competitive desire of legendary leader Fred Hutchinson, the former major league pitcher and manager who succumbed to cancer in 1964... he and his wife, Christie, have a daughter, one-year-old Ily Sophia...Ily is an acronym for "I love you." Made sixth Opening Day roster, all starts (2011-12 with Miami, 2014-15 with Seattle, 2016 with Tampa Bay)...made third straight Opening Day start at 1B...recorded three hits vs. New York-AL, tying a Rays Opening Day record, his second career Opening Day home run (2011 vs. New York-NL, with Florida) ... Hit first career grand slam April 14 at Boston, off RH Rick Porcello; the first time in club history the Rays hit a grand slam off a reigning Cy Young Award winner ... On May 28 at Minnesota, went back-to-back with Evan Longoria in the 15th inning, on consecutive pitches by Hector Santiago, for an 8-6 win...it was the latest in a game there were back-to-back home runs since Houston's Brian Hunter and Craig Biggio did it in the 15th inning on June 16, 1995 at New York-NL ... Hit his 100th career home run on June 3 at Seattle ... Had three multi-homer games: June 18 at Detroit, July 1 at Baltimore (the second homer was the 91st to land on Eutaw Street), and August 27 at St. Louis ... Became the first player in Rays history to hit three homers in extra innings in one season, and the only player in baseball to do so in 2017... all three came in getaway days on the road: May 28 at Minnesota (15th inn. ), May 31 at Texas (10th) and August 27 at St. Louis (10th) ... From June 7-July 7, reached base in 27 consecutive games, the longest streak by a Ray since Evan Longoria (34) from September 19, 2012-April 23, 2013 and the longest by a Ray in one season since Johnny Damon (39) in 2011 ... Hit his 30th home run on August 27 at St. Louis becoming the seventh different Ray in club history with a 30-HR season ... On September 16 vs. Boston, was ejected from the bench in the sixth inning by home plate umpire Jeff Nelson, his first career ejection ... Appeared in a career-high 149 games with 136 starts (119 at first base, 17 at designated hitter) ... Led the Rays with 38 HR, third most in club history behind Carlos Peña in 2007 (46) and 2009 (39)...passed his previous career high (23 in 2011, with Florida) on July 1 at Baltimore ... Hit a career-high six homers off lefties (previous high of 5 in 2011, with Florida)...totaled only three homers vs. LHP over the previous four seasons (2013-16) ... Hit 27 HR on the road, most in the AL and 2nd in the majors to Giancarlo Stanton (28), and setting a club record (previous Carlos Peña, 23 in 2007)...hit a homer every 9.67 AB on the road, the best ratio in the majors since Boston's David Ortiz (9.09) in 2006 and the ninth-highest mark in AL history, according to Stats LLC ... Hit 24 more homers than he did in 2016 (14), the second-largest year-to-year increase in Rays history...Jorge Cantu hit 2 HR in 2004, and 28 in 2005 (+26)...it also tied Justin Smoak (14 to 38, +24) for the second-largest increase in the majors from 2016 to 2017 (min. 100 games each year) behind Giancarlo Stanton (27 to 59, +32) ... His 38 HR tied for fifth in the AL, and his 81 BB ranked eighth...only three players in baseball matched his combination of homers and walks: Giancarlo Stanton (59-HR, 85-BB), Aaron Judge (52-HR, 127-BB) and Edwin Encarnación (38-HR, 104-BB) ... Was the Rays nominee for the 2017 Hank Aaron Award, which recognizes the top hitter in each league, as voted by fans and members of the media ... Was Rays nominee for the 2017 Heart and Hustle Award by the Major League Baseball Players Alumni Association (MLBPAA), which honors active players who demonstrate a passion for the game of baseball and best embody its values, spirit and traditions ... In Baseball America's annual Best Tools survey of major league managers, coaches, scouts and executives, was named the number three defensive first baseman in the AL behind Eric Hosmer and Mitch Moreland. In his first season with the Rays, appeared in 107 games and made 95 starts (78-1B, 17-DH)… his 78 starts at 1B were a team high…his season was cut short by two injuries: a right forearm strain that put him on the DL for 16 games (July 28-Aug 14) and a left wrist strain that sidelined him for the final 20 games...Was batting .129/.229/.153 (11-for-85) with 0 RBI in 29 games through May 16…after that, hit 272/.348/.496 (73-for-268) with 14 HR and 43 RBI over his final 78 games...His first 10 HR came over a span of 46 games from May 18-July 5…the last 4 HR came over a span of 9 games from Aug 31-Sep 9...Began the season homerless through 91 AB, then hit 7 HR in a span of 18 games (65 AB) from May 18-June 5…hit .415/.479/.785 (27-for- 65) over that span, leading the AL in avg. and ranking 2nd in OBP and SLG tied for 2nd in HR...Homered in 3 consecutive games from June 3-5 and had the fourth multi-HR game of his career on June 5 at MIN...Hit 4 HR over his final 11 games (9 starts)… on Sep 2 vs. TOR, his homer off RH Marcus Stroman was measured by StatCast at 444 feet…his last home run came on Sep 9 at NYY (Michael Pineda), his first career homer at Yankee Stadium...Thirteen of his 14 HR came vs. RHP…connected off LH Justin Nicolino on May 25 vs. MIA, his first off a lefty since Sep 25, 2014 at TOR off Aaron Loup (with SEA)…had gone 161 AB vs. lefties in between...Batted .297/.397/.453 (19-for-64) with RISP...Started at 1B on Opening Day…it was his fifth Opening Day start for his third different team (also 2011-12 as Marlins LF, 2014 as Mariners DH, 2015 as Mariners 1B)...In April, ranked last among 253 qualifying major leaguers with a .100 avg. (6-for-60) and a .156 OBP…these marks both ranked 2nd lowest in Rays history for April, behind Greg Vaughn (.099 avg. in 2002) and Ben Zobrist (.145 OBP in 2007)…in May, batted .351 (26-for-74) with a .455 OBP…his May OBP ranked 5th in the AL and was highest by a Rays player in May since Matt Joyce in 2011 (.470)...On May 17 at TOR, had his first RBI in his 87th at-bat…was 1 AB shy of matching José Molina (2014) for the longest streak to start a season without an RBI…then, from that date through the All-Star break, led the Rays with 31 RBI...On May 18 at TOR, hit his first homer as a Ray off R.A. Dickey, his first since Sep 24, 2015 at KC, snapping a streak of 112 AB without one...From May 24-25 vs. MIA, recorded hits in 6 straight at-bats and reached base in 7 straight plate appearances...On June 15 vs. SEA, drew the fifth walk-off walk in club history (13th inning off Mike Montgomery) and first since Luke Scott on May 9, 2013 vs. TOR...His right forearm troubles began in mid-July… missed 6 games from July 19-25, then played July 26-27 before going on the DL with a right forearm strain on July 29, retroactive to July 28…spent the next 16 games on the DL...Reinstated from the DL on Aug 15 and hit .288/ .391/.627 (17-for-59) with 8 2B, 4 HR and 12 RBI in 20 games until suffering his season-ending wrist injury...On Sep 11 at NYY, suffered a strain of the ECU tendon (extensor carpi ulnaris) swinging at a pitch in the 4th inning…on Oct 4, underwent left wrist surgery in Orlando, performed by Dr. Tom Graham…expects to be ready in time for Opening Day...Returned to the Rays on Feb 7, 2017 by signing a one-year free agent contract. Played in a career-high 146 games for Seattle, his first season of 100 or more games since 2011...responded with 17 HR, 2nd most in his career behind 2011 (23 with Marlins)...his 140 games played at 1B were 2nd in the AL to KC Eric Hosmer (154)...started 117 games (115-1B, 1-LF, 1-RF)...did not appear as a DH...started 91 of the club's first 102 games, but only 26 of 60 over the final two months…Batted .190 (27-for-142) off lefties after hitting .333 (33-for-90) in 2014...had a career .262 mark vs. southpaws prior to 2015...all 17 HR came off RHP...last homer off a lefty came Sep 25, 2014 vs. TOR Aaron Loup...has had 148 AB vs. southpaws since…The Mariners were 12-4 in games he homered…Was one of 12 major leaguers in 2015 to homer on their birthday when he hit a 2-run homer in a 6-5 win on Aug 25 vs. OAK Jesse Chavez…Has hit 68 HR over the past five seasons despite playing an average of only 109 games per year and playing in home ballparks that have ranked in the bottom half of the league in home run frequency in four of the five seasons: Sun Life Stadium, Marlins Park and Safeco Field…Batted .307 (50-for-163) with 6 2B, 2 3B, 7 HR, 21 RBI and an .876 OPS in 43 games from April 29-June 15...during that span, had a career-high 16-game hitting streak May 24-June 10, hitting .349 (22-for-63)… Hit leadoff for the first time in his career, starting 20 games there...on June 15 at SF, he went 3-for-5 with 2 runs, an RBI and a stolen base from the leadoff position...according to Elias Sports Bureau, he joined BOS Brock Holt (June 1,2014 vs. TB) as only first basemen in the past 16 seasons to record at least 3 hits and a SB from the leadoff position…Batted .455 (10-for-22) vs. the Rays, 2nd best among all Tampa Bay opponents (min. 20 AB) in 2015 behind CLE Jason Kipnis (.483)...his career .333 (20-for-60) avg. vs. the Rays matches his best against any opponent (also .333 vs. Boston)…Hit 6 of his 17 HR vs. the Astros...3 of those came off 19-game winner Collin McHugh, including 2 on June 13 at HOU, when he matched his career high with 5 RBI in an 8-1 win…Ranked 5th in the AL and 9th in the majors with a .996 fielding pct. (4 E, 1130 TC) as a first baseman...committed one error in 113 games from the start of season through Aug 29 before making 3 errors in his last 27 games…On Sep 24 at KC, hit one of only 3 HR allowed by Wade Davis over the past two seasons...also TOR Jose Bautista and LAA Kole Calhoun…Was the only player in the majors in 2015 to come off the bench and hit a home run in consecutive days, Sep 1-2 at HOU...his pinch-hit homer Sep 1 off Pat Neshek broke a 5-5 tie in the M's 7-5 win...the next day he hit a 3-run, 9th-inning HR off Josh Fields in an 8-3 win…Hit his first career walk-off home run in the 11th inning on May 8 vs. OAK Dan Otero, a 432-foot blast. Appeared in 99 games, making 91 starts (1B-74,DH-8, RF-7, LF-2), hitting .262 (88x336) with 41 runs, 20 doubles,11 home runs and 38 RBI... Hit .321 (54x168) with 28 runs, 13 doubles, 6 homeruns, 21 RBI and an .878 OPS over his ﬁnal 51 games including .342 (26x76) with 15 runs, 8 doubles, 5 home runs, 11 RBI and a 1.042 OPS in September…in September he ranked 10th in the AL batting .342 (26x76) with 5 home runs (T7th in AL) and a 1.042 OPS (4th in AL); began the season hitting .202 (34x168) with a .592 OPS in ﬁrst 48 games... Of 11 home runs, 5 gave Seattle the lead and 2 tied the game; each ofhis last 6 home runs either tied the game or gave his team the lead... Hit .333 (30x90) with 7 doubles, 2 home runs, 10 RBI and an .846 OPS against left-handers; his .333 average was the 3rd-best in the Majors by a left-handed hitter against a left-handed pitcher behind Kansas City's Nori Aoki (.363/45x124) and Philadelphia's Ben Revere (.341/61x179)... Had a career-high tying 13 game hitting streak July 29-Aug. 12, hitting .333(15x45) with 7 runs, 3 doubles, 1 home run and 6 RBI... Had a career-high tying four hits on June 23 vs. Boston including twohome runs; his ﬁrst multi-home run game of his career... On June 23, became the 9th player in club history (11th time) to reachbase safely at least 5 times in a game, while hitting 2 or more home runs and recordingat least 4 RBI…he is the ﬁrst Mariners player to do this since Mike Cameron's 4-home run game May 2, 2002 at Chicago (AL)…also became the ﬁrst Mariners ﬁrst baseman toreach base 5+ times while scoring 3+ runs and knocking in 4+ runs in a game... Was on 15-day disabled list with strained right hamstring April 16-June 10... May 23-June 11: .308 (20x65), 2 doubles, 3 home runs in 18 games. Hit .242 (71x293) with 32 runs scored, 13 doubles, 4 triples, 6 home runs and 36 RBI in 85 games with the Miami Marlins. Did not see MLB action until June 9 recovering from right knee surgery… was his first MLB action since July 28, 2012 vs. San Diego. Appeared in 79 games at first base, making 78 starts. Started the season on the 60-day disabled list…made rehab appearances with A Jupiter and AA Jacksonville. Batted .372 (16x43) in Interleague play, ranking 15th in the Majors (min. 46 PA). Reached base safely by hit, walk or HBP in 69 of his 85 games, including 26 straight from June 20-July 28. Batted .261 (58x222) against right-handers, compared to .183 (13x71) against lefties. Had 52 extra-base hits, tied with Alfonso Soriano for third among National Leagueleft fielders, trailing only Ryan Braun (75) and Matt Holliday (56). Was third on Club inextra-base hits, behind Giancarlo Stanton (69) and Gaby Sanchez (54)...Went on 15-day DL with an arch strain in left foot on April 21 (retro to April 20). Wason DL until May 13, missing 21 games, during which Marlins went 12-9...Prior to DL stint, hit .327 (18x55) with five doubles, four home runs, 11 RBI, 10 walks, 11strikeouts, a .424 on-base percentage and a .636 slugging percentage in 15 games...Batted .322 (19x59) in first 15 games back in lineup, with five doubles, two home runs,seven RBI, a .397 on-base percentage and a .508 slugging percentage...Hit in 13 consecutive games from April 7-May 15, posting a .353 average (18x51) withfive doubles, three home runs and eight RBI over streak. Marked longest hit streak ofcareer...Hit just .212 (22x104) in July, but still tied Nelson Cruz for most RBI in Majors that month,with 26, and tied Kevin Millar (1999) for most July RBI in Club history...Optioned to triple-A New Orleans following game vs. San Francisco on August 13.Went 4x24 (.167) with two doubles, a home run and five RBI in six games for Zephyrsbefore being recalled on August 24...Batted .240 (24x100) with 14 runs, four doubles, a triple, six home runs, 12 RBI, 15walks, 19 strikeouts and a .480 slugging percentage in 28 games after recall...Set a new career high with four hits on September 9 at Pittsburgh. The 2010 season marked his fifth professional season, beginning the campaign at the triple-Alevel in New Orleans. With the Zephyrs, hit .307 with 17 doubles, four triples, six home runs and 45RBI in 68 games. He drew 48 walks while striking out only 35 times, leading the Zephyrs in baseson balls ... He missed 27 games due to a right shoulder strain from April 22-May 19. He appeared in fiverehab games with single-A Jupiter, tallying eight hits in 21 at bats (.381 average) with two doubles,two triples and two RBI ... Drove in the game-winning run in the bottom of the ninth inning on Opening Day to down RoundRock, 2-1 ... Hit the first of his six home runs on April 12 at Albuquerque, finishing a single short of the cycle(3x5) with three RBI. Established season-bests in hits and RBI ... Equaled his season high in hits two other times; May 29 vs. Oklahoma City and June 15 atOklahoma City. Tied his season-high in RBI three times: June 12 vs. Round Rock, July 5 vs. Omahaand July 22 at Round Rock ... His longest hit streak with the Zephyrs spanned eight games, from June 6-15 where he hit .419(13x31) with five doubles and seven RBI ... Named the Marlins Organizational Hitter of the Month in June, posting a .333 average (31x93)with eight doubles, one triple, one home run and 15 RBI in 26 games ... Started for the US team in the 2010 Futures Game as part of the 2010 Major League All-Star weekendin Anaheim, CA. Played all nine innings, going 1x2 with two walks in the US team's 10-1 winover the World team ... Had his contract selected by the Marlins on July 27, appearing in 62 games with Florida over theremainder of the season. Hit .283 with 20 doubles, seven triples, two home runs and 18 RBI with41 walks and 51 strikeouts ... Ranked second among National League rookies in triples and on base percentage (.390),eighth in average and ninth in slugging percentage (.447) ... From the time he had his contract selected, led all Major League rookies in doubles and triplesand was tied for the lead in runs scored (43). Ranked second in walks, third in on base percentageand seventh in slugging percentage ... Tied for the NL lead in second-half triples with Dexter Fowler and Carl Crawford. The mark also tied a Franchise record for secondhalftriples, equaling Quilvio Veras' previous record set in 1995. His 20 post All-Star doubles were third-most among Marlins rookies,behind Hanley Ramirez's 27 in 2006 and Chris Coghlan's 21 in 2009 ... Made ML debut on July 27 at San Francisco, tallying his first career hit (single off Matt Cain) in his second at-bat.Tallied two doubles on July 28 in San Francisco, the first of four two-double games. He also tallied two doubles on August 26 at NewYork, September 5 vs. Atlanta and September 7 at Philadelphia ... From August 4-27, hit in 18 of 20 games with a .355 average (27x76) and went hitless in only 13 of 62 games played ... Hit first home run on August 27 at Atlanta, a first-inning solo shot off Tommy Hanson ... He tripled in the first and third innings of the Marlins 6-1 victory over the Braves on September 3 at Sun Life Stadium. He became thefirst rookie in over 17 years to hit a triple in each of his first two plate appearances of a game. The last rookie to do that prior toMorrison was Colorado's Vinny Castilla against the Cubs on April 26, 1993. - Elias Sports Bureau... Reached base in 42 consecutive games from August 7-September 22, establishing a Marlins rookie record for consecutive gamesreaching base safely via hit/walk/hit by pitch. The previous mark was 36, done by Hanley Ramirez in 2006. His streak was tied withNew York's Mark Teixeira for the longest of the season and was the third-longest ever in Marlins history (Luis Castillo-46 and KevinMillar-43, both in 2002) ... Hit in 10 straight games to open the month of September, marking a season-long hit streak. Over the streak he had 15 hits in 39 atbats(.385) with six doubles, three triples and four RBI ... Hit at a .342 clip (25x73) against left-handed pitching, while batting only .257 (44x171) versus right-handers. Spent the majority of his fourth professional season with double-A Jacksonville, batting .277 with18 doubles, eight home runs and 47 RBI in 79 games. Led all Marlins minor leaguers in on basepercentage (.408) and ranked second in walks (64), while striking out only 48 times....Homered in his first game of the season, April 9 vs. Tennessee, going 2x4 with a triple, home runand three RBI on the day....Connected for five hits in six at-bats on July 5 vs. Mississippi, while driving in five runs. Connectedon a fourth-inning grand slam, while also doubling twice. His hit and RBI totals for the day wereboth season-highs....From July 15-22, walked a total of 15 times in seven games, drawing two-or-more walks in six ofthose seven contests....In only five of his 82 games with an at-bat did he strike out more than one time, with a seasonhighof three on July 9 vs. Carolina....Missed 55 days due to a right thumb sprain, landing on the Disabled List on April 12. Appearedin three games with single-A Jupiter following reinstatement from the DL on June 6, collectingthree hits in 11 at-bats....Posted a .313 average (26x83) with 23 runs scored, five doubles, five home runs and 20 RBI in 26 July contests....In seven postseason games, hit .360 (9x25) with nine runs scored, four doubles and four RBI as Jacksonville took the Southern LeagueChampionship. Named Florida State League MVP after leading the FSL in average (.332), hits (162), on-base percentage (.402) and doubles (38)in 2008...also ranked second in total bases (241), fourth in at-bats (488) and extra-base hits (52), and fifth in slugging percentage(.494)...earned TOPPS FSL Player of the Month for July as he boasted a .396 average (40x101) with eight doubles, one triple, fourhome runs and 16 RBI in 26 games...also named FSL Player of the Week twice; June 9-15 and July 28-August 3...named by BaseballAmerica to the First Team of their 2008 Minor League All-Star team and ranked as the third-best prospect in the FSL...earned FSL All-Star honors as he batted .318 (76x239) with 21 doubles, seven home runs and 40 RBI before the break...tabbed by Baseball Americaas 'Best Hitter for Average' in Malrins organization...also named by same publication as the 'Best Batting Prospect' and 'BestDefensive First Baseman', while having the 'Best Strike Zone Judgment'...participated in the Arizona Fall League following the seasonand posted a .404 average (40x99) with seven doubles, two triples, five home runs and 29 RBI in 25 games for the Mesa SolarSox...ranked third in the AFL in average and tied for second in RBI. In 2007, ranked fourth in South Atlantic League with 24 home runs...named as the Marlins' Organizational Hitter of the Month in Juneafter batting .310 with seven doubles, seven home run and 24 RBI and earned a spot on the South Atlantic League All-Star team. 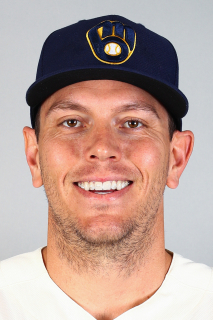 April 19, 2019 New York Yankees signed free agent 1B Logan Morrison to a minor league contract. October 31, 2018 1B Logan Morrison elected free agency. October 29, 2018 Minnesota Twins activated 1B Logan Morrison from the 60-day disabled list. September 3, 2018 Minnesota Twins transferred 1B Logan Morrison from the 10-day disabled list to the 60-day disabled list. Left hip impingement. August 11, 2018 Minnesota Twins placed 1B Logan Morrison on the 7-day disabled list. Left hip impingement. July 22, 2018 Minnesota Twins activated 1B Logan Morrison from the 10-day disabled list. July 12, 2018 Minnesota Twins placed 1B Logan Morrison on the 10-day disabled list. Left hip impingement. February 28, 2018 Minnesota Twins signed free agent 1B Logan Morrison. November 2, 2017 1B Logan Morrison elected free agency. February 7, 2017 Tampa Bay Rays signed free agent 1B Logan Morrison. November 3, 2016 1B Logan Morrison elected free agency. November 3, 2016 Tampa Bay Rays activated 1B Logan Morrison from the 60-day disabled list. September 16, 2016 Tampa Bay Rays placed 1B Logan Morrison on the 60-day disabled list. Left wrist strain. August 15, 2016 Tampa Bay Rays activated 1B Logan Morrison from the 15-day disabled list. August 10, 2016 Tampa Bay Rays sent 1B Logan Morrison on a rehab assignment to Charlotte Stone Crabs. July 29, 2016 Tampa Bay Rays placed 1B Logan Morrison on the 15-day disabled list retroactive to July 28, 2016. Right forearm strain. June 11, 2014 Seattle Mariners activated 1B Logan Morrison from the 15-day disabled list. May 23, 2014 Seattle Mariners sent RF Logan Morrison on a rehab assignment to Tacoma Rainiers. June 9, 2013 Logan Morrison roster status changed by Miami Marlins. May 27, 2013 Jupiter Hammerheads sent 1B Logan Morrison on a rehab assignment to Jacksonville Suns. May 20, 2013 Logan Morrison roster status changed by Jupiter Hammerheads. March 31, 2013 Miami Marlins placed 1B Logan Morrison on the 60-day disabled list. Recovering from September 2012 right knee surgery. October 31, 2012 Miami Marlins activated 1B Logan Morrison from the 60-day disabled list. August 16, 2012 Miami Marlins transferred LF Logan Morrison from the 15-day disabled list to the 60-day disabled list. July 29, 2012 Miami Marlins placed LF Logan Morrison on the 15-day disabled list. Right knee inflammation. August 24, 2011 Florida Marlins recalled LF Logan Morrison from New Orleans Zephyrs. August 14, 2011 Florida Marlins optioned Logan Morrison to New Orleans Zephyrs. May 12, 2011 Logan Morrison roster status changed by Florida Marlins. May 9, 2011 sent LF Logan Morrison on a rehab assignment to Jupiter Hammerheads. April 21, 2011 Florida Marlins placed LF Logan Morrison on the 15-day disabled list retroactive to April 20, 2011. Left foot strain. July 27, 2010 Florida Marlins selected the contract of LF Logan Morrison from New Orleans Zephyrs. July 14, 2010 Logan Morrison roster status changed by New Orleans Zephyrs. July 10, 2010 New Orleans Zephyrs placed 1B Logan Morrison on the temporarily inactive list. May 24, 2010 1B Logan Morrison assigned to New Orleans Zephyrs from Jupiter Hammerheads. May 19, 2010 Logan Morrison assigned to Jupiter Hammerheads from New Orleans Zephyrs. April 24, 2010 Logan Morrison roster status changed by New Orleans Zephyrs. April 6, 2010 1B Logan Morrison assigned to New Orleans Zephyrs from Florida Marlins. February 8, 2010 Florida Marlins invited non-roster 1B Logan Morrison to spring training. June 10, 2009 1B Logan Morrison assigned to Jacksonville Suns from Jupiter Hammerheads. June 6, 2009 Logan Morrison assigned to Jupiter Hammerheads from Jacksonville Suns. April 14, 2009 Logan Morrison roster status changed by Jacksonville Suns.